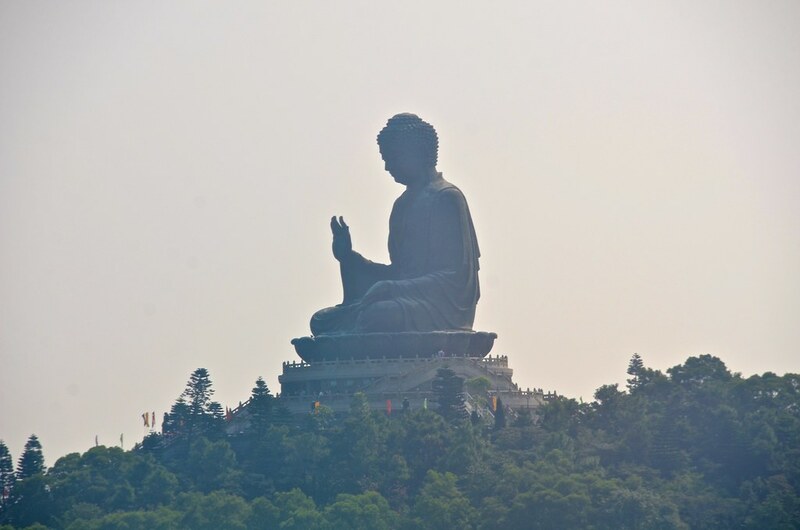 John and I went to Hong Kong in November 2014. 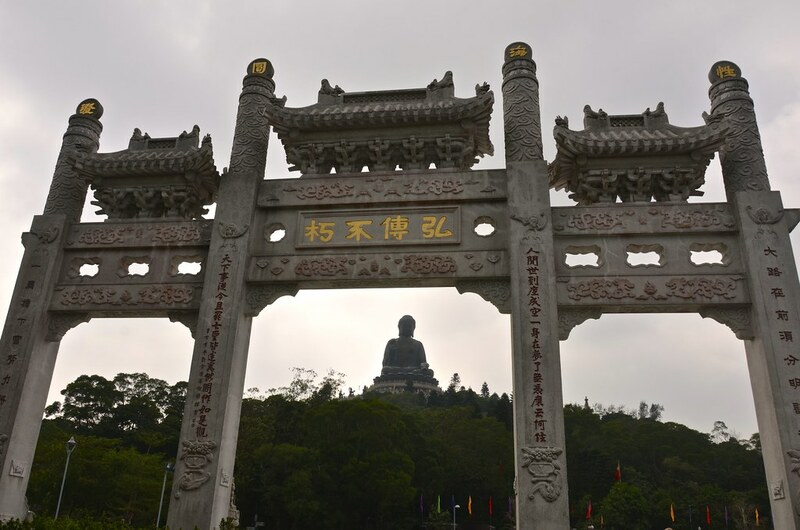 While there, we visited the Po Lin Monastery where the 112 feet tall Tian Tan Buddha sits overlooking the area. 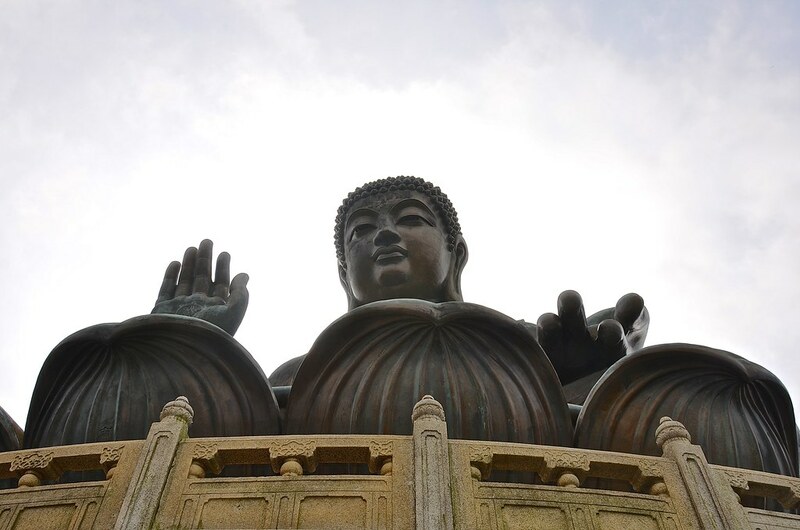 Tian Tan Buddha, also known as the Big Buddha, was erected in 1993. 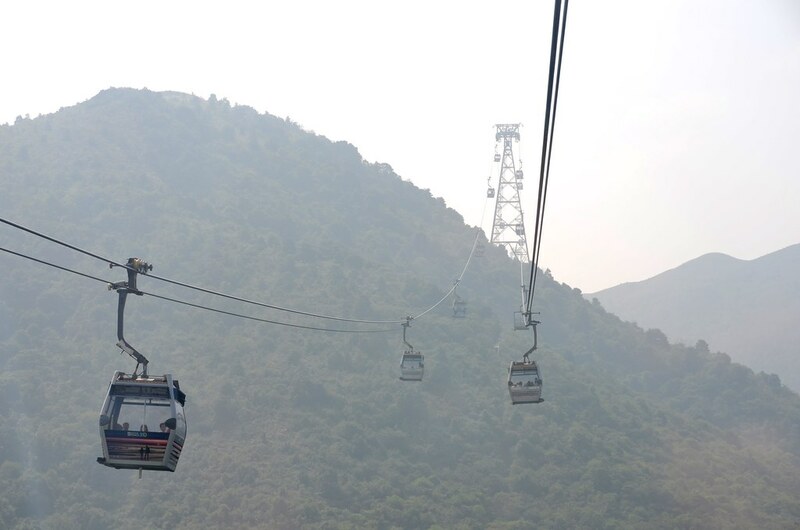 To get there, take the MTR to Tung Chung Station, walk out at Exit B, and then take the Ngong Ping Cable Car. 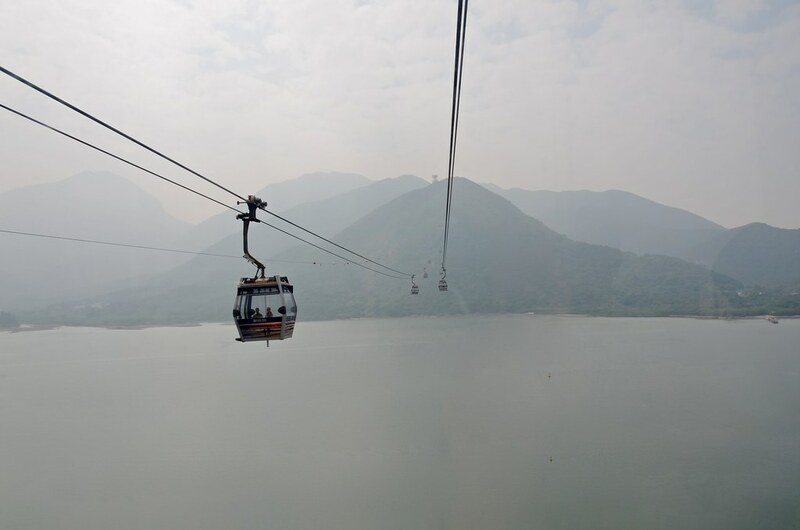 A round trip ride will cost about 16USD. 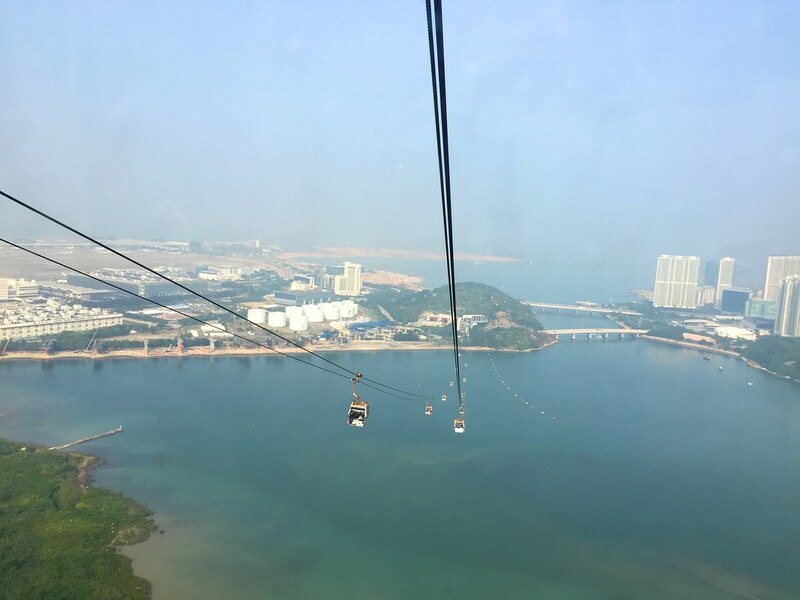 It is common to have fog/smog in Hong Kong but don’t let that keep you away. 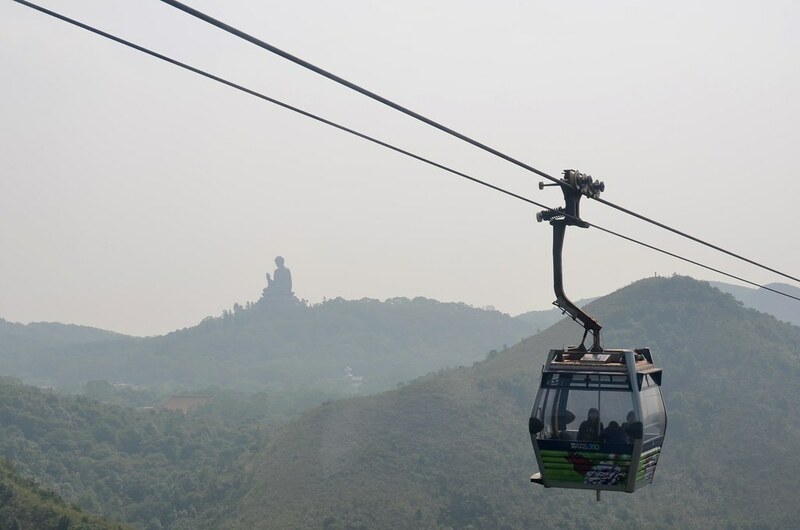 About 15 minutes into the gondola ride, the majestic Big Buddha will appear. 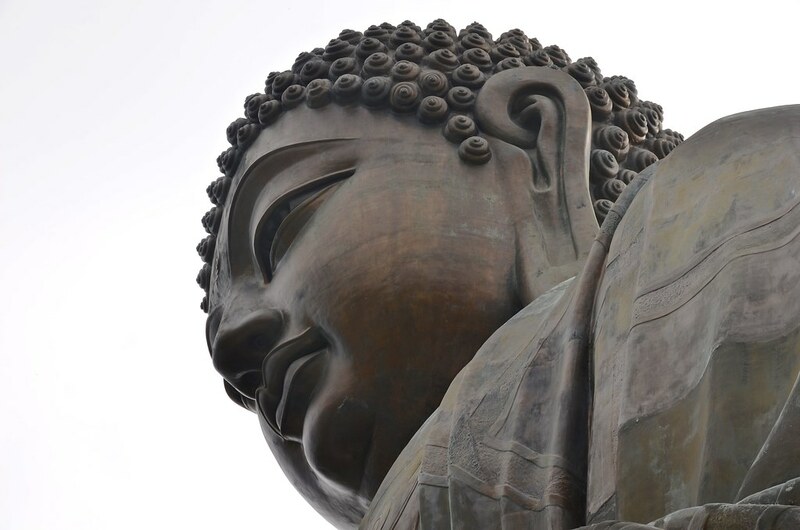 The statue is named Tian Tan Buddha because its base is a model of the Altar of Heaven or Earthly Mount of Tian Tan, the Temple of Heaven in Beijing. 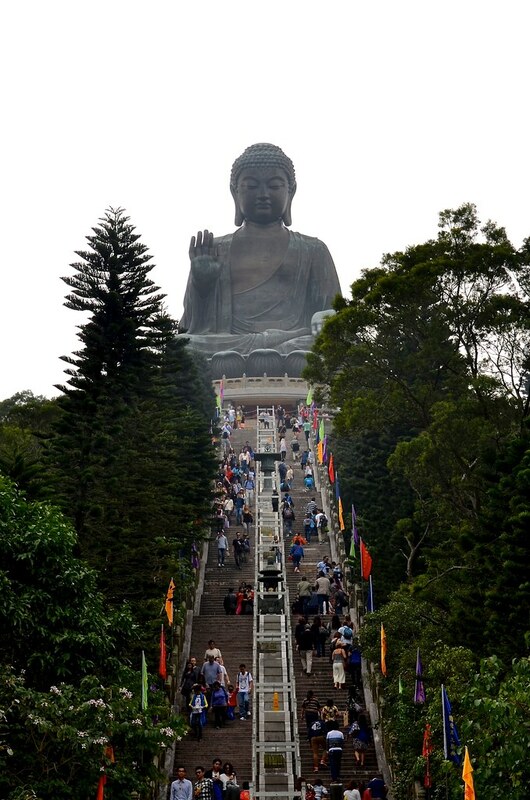 Because there are handrails and obvious areas to take a rest, I think the climb is suitable for all ages and fitness levels. 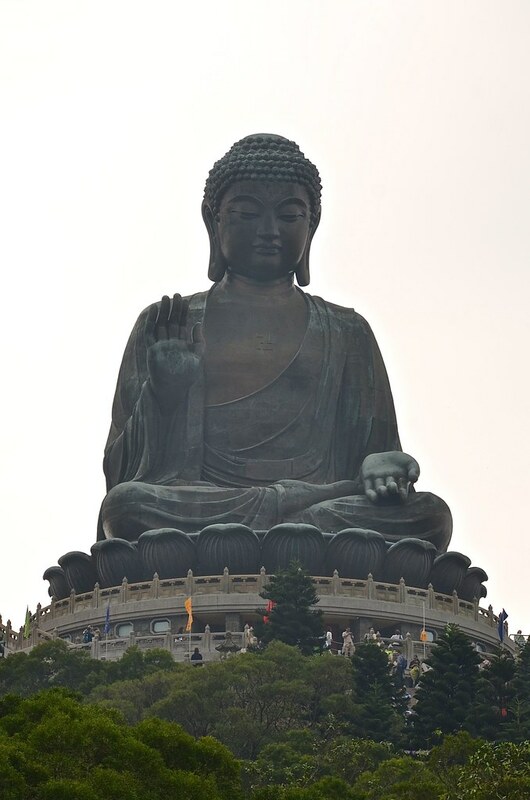 The Buddha statue sits on a lotus throne on top of a three-platform altar. 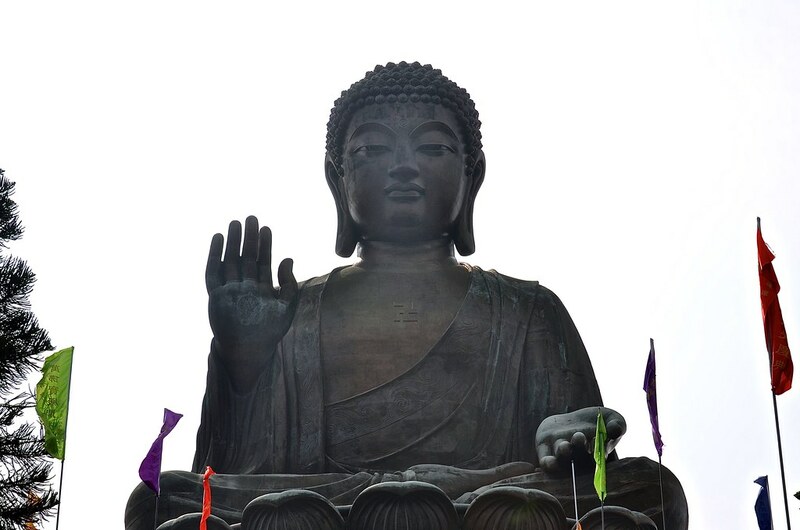 His right hand is raised, representing the removal of affliction. 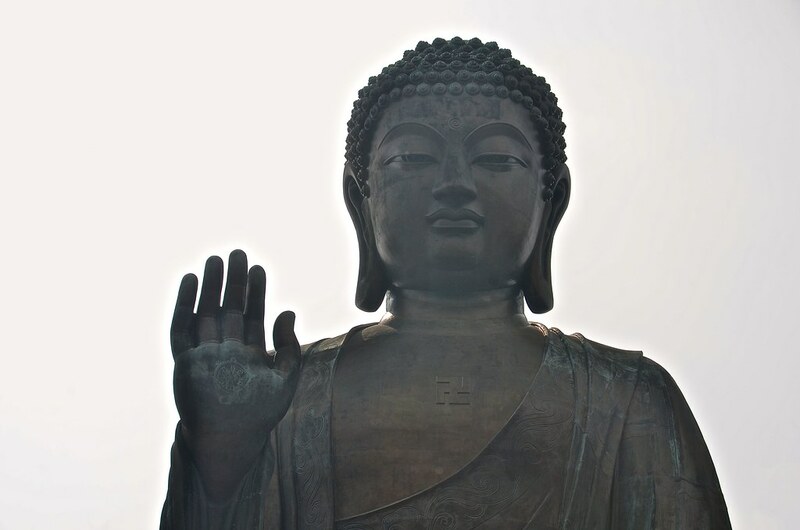 The Buddha’s left hand rests on his lap in a gesture of giving dhana. 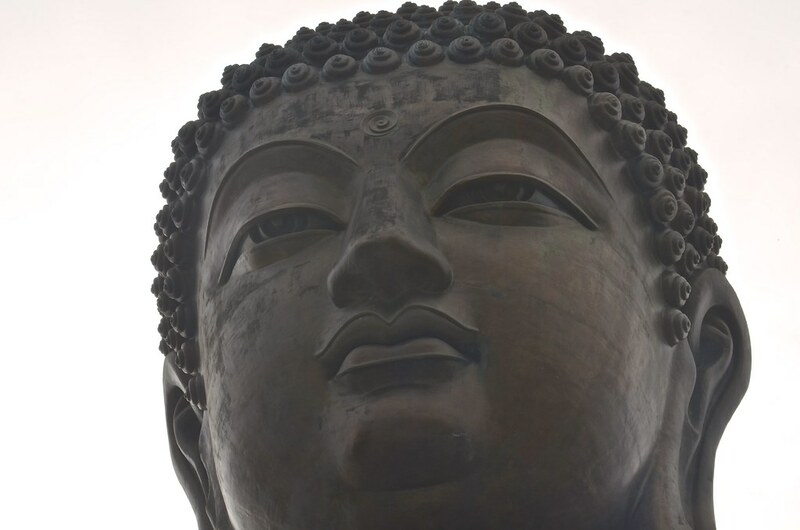 The Buddha faces north, which is unique among the great Buddha statues, as all others face south. 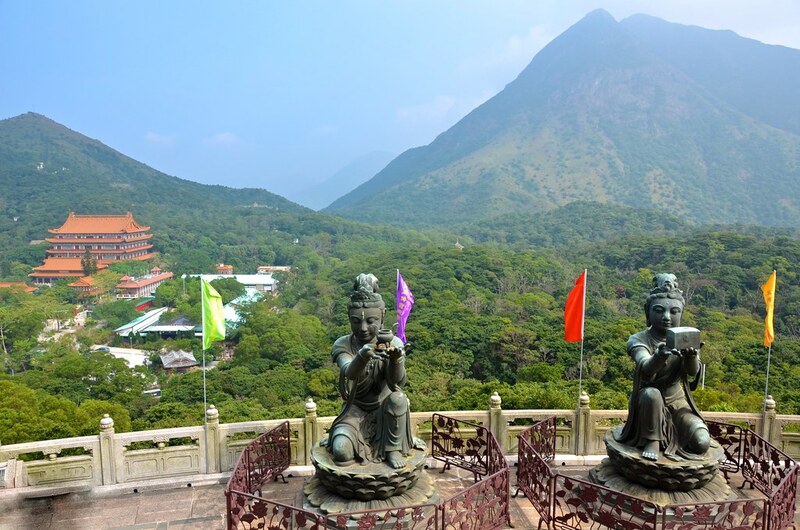 These Buddhistic statues are praising and making offerings to the Tian Tan Buddha. 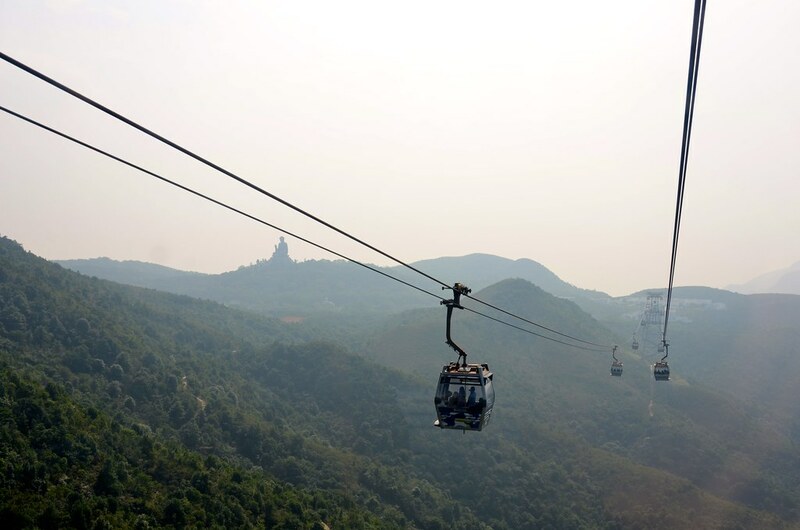 You can also see Po Lin Monastery in the background. 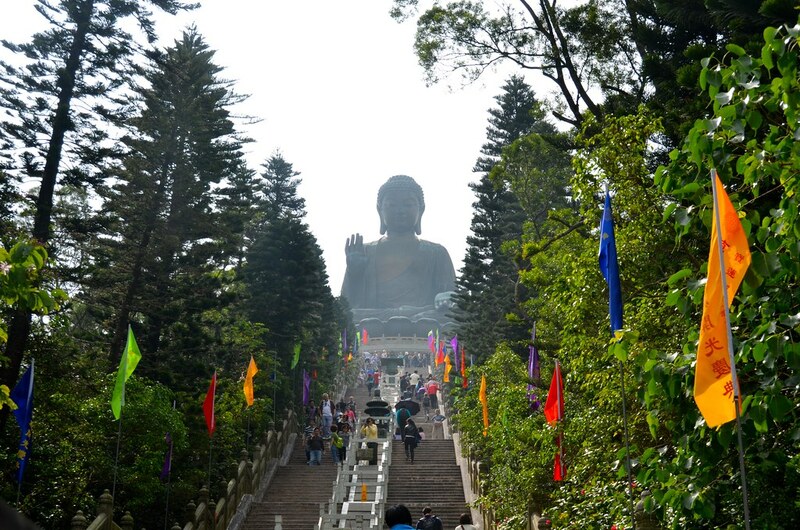 The Po Lin Monastery was founded in 1906 by three monks and was initially known simply as “The Big Hut”. 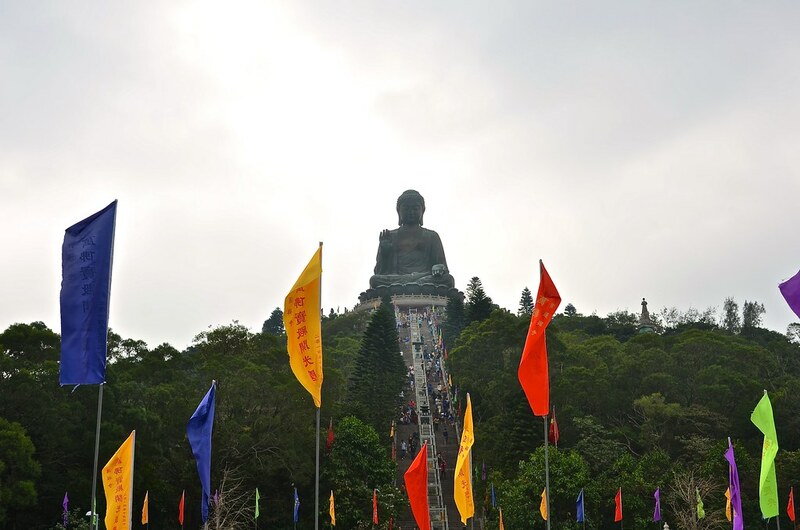 If your travels take you to Hong Kong, be sure to set aside a couple of hours for a visit to the Po Lin Monastery and Tian Tan Buddha. For more on Hong Kong, click HERE. 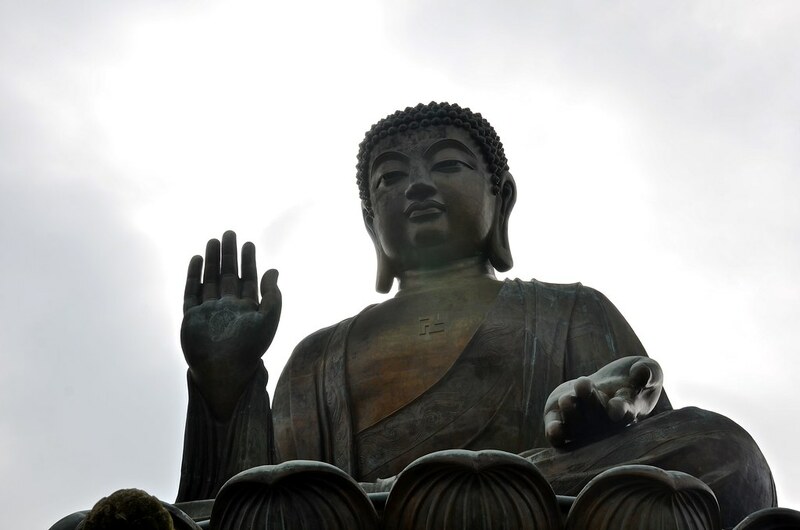 One Response to "Tian Tan Buddha"